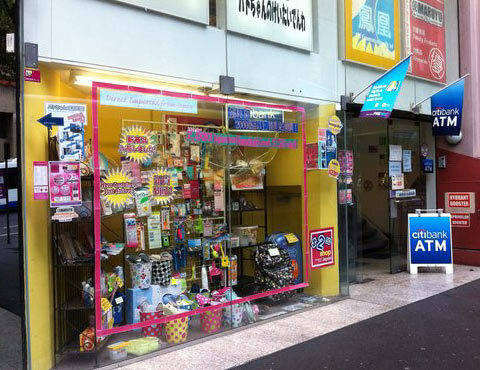 2 Japanese shopping havens: Maruyu & Conveni8! My goodness! I realised I had literally ABANDONED this blog for 7 months! Well, truth be told it was my intention initially, around December last year, I became increasingly busy in my life so having the time to update this blog gradually decreased to the point that I hardly had any other free time to do so, especially considering I have 2 other blogs; which I began to dedicate more of my time to. At one point I did contemplate on deleting this blog altogether, but then I decided not to, leaving room for the prospect of 'reviving' this blog sometime in the future, and I decided to do just that today! But please take note that this will not be a food review, but rather a review on 2 Japanese supermarkets I recently visited in Sydney; Australia. Australia is literally saturated with Asian supermarkets & groceries due to the overwhelming amount of the Asian population in the country, with about 93% of these Asian supermarkets being Chinese, while the remaining 7% being Korean, Japanese or south east Asian. But there's so very few Asian supermarkets that are authentically Japanese in Australia, so it's much more difficult to find authentic Japanese products in this country. 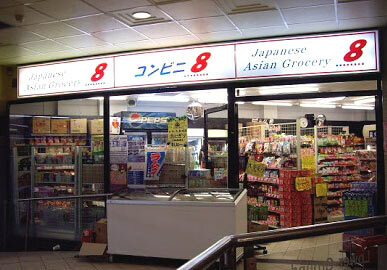 Although some of the other Asian groceries do sell some Japanese products, but their range are very limited. In the past, whenever I wanted to buy authentic Japanese products and food, I would either shop at Tokyomart located in Northbridge; which is the largest authentic Japanese supermarket in Australia, or I order online. But just earlier this week, I learned about 2 other Japanese supermarkets in Sydney CBD called Maruyu and Conveni8 which are located on Clarence St & Pitt St respectively. This also means that these 2 grocery stores are more easily accessible to me than Tokyomart, and I have read several rave reviews about both stores, so immediately I was intrigued by them. Both stores have been operating for some years now and I was amazed by my own ignorance of their existence, as I have been living in Sydney for many years now and never heard about them until early this week! Since they are both located ridiculously close to Town Hall train station hence easily accessible, I couldn't wait to go visit them so I immediately planned a shopping trip to these 2 stores on the next available day on my busy schedule, which was on Thursday as I had a day off from work that day. Firstly I will start with Conveni8, it's located on Pitt St and only a short 2 minutes walk from Town Hall station hence the closest of the 2 stores, I decided to go there first. I had read on a few other blogs that Conveni8 sells freshly-made steamed BBQ pork buns, onigiri (Japanese rice balls) and other bento (japanese packed lunches), while Maruyu do not sell them, that was the main reason I wanted to go to Conveni8. My initial plan was to go to Conveni8 first to pick up some onigiri & bento and then head over to Maruyu. But as I arrived at Conveni8 and scanned the store, I was left disappointed. The store was tiny, but that wasn't the main problem, the problem was that I could not find any steamed buns, or onigiri or bento at all! I asked the staff at the counter and she said they don't sell them anymore, how disappointing I had lost my main purpose for going there, so for the next 10 minutes or so I just wandered around the tiny store aimlessly looking for something to buy. During that time I had noticed that their prices for the Japanese products are also slightly more expensive than Tokyomart, which was another reason I was left rather disheartened. They also sell some Korean snacks but for dirt cheap in comparison, it could be because it's more expensive to import Japanese products compared to importing Korean products. But since I have no interest in Korean stuff, I did not buy any Korean snacks. In the end I only bought a box of 'Pretz' (a popular Japanese biscuit stick snack & also 1 of my personal favorites) for AU$2.15, it was on special because it was nearing its best before date. I also bought a pack of 20 small sachets of furikake (Japanese rice seasoning) for $5; which is also slightly more expensive than how much Tokyomart would normally sell them for. But despite the downsides, Conveni8 also has some upsides, their customer service is good, the Japanese staff are friendly. And even though the store is tiny, it's crammed with quite a diverse range of Japanese products & snacks and Korean snacks. My overall verdict? Conveni8 was a bit of a disappointment for me for those downsides I stated above. I still prefer Tokyomart; it's much bigger hence they sell a much broader range of products, and their prices are slightly cheaper than Conveni8. However, I think Conveni8 is still worth checking out, it's just not ideal to spend alot of money there though. Now let's move on to Maruyu, now this is a different experience altogether! Just located about 5 minutes walk away from Conveni8 and 3 mins from Town Hall station on Clarence St, Maruyu is truly a Japanese gem! It has 2 levels; downstairs is their grocery store where you buy all your essential groceries, cooking needs and snacks, and upstairs they have a JP￥100 (or $2.50) miscellaneous shop where you can buy goods & other knick-knacks for cheap thus Maruyu is spontaneously significantly bigger than Conveni8. As I arrived at Maruyu, I went straight downstairs to the grocery first and wandered around there for about 20 mins. Unlike at Conveni8, I was much more excited wandering the aisles of Maruyu, for several reasons; firstly, because their store is bigger so they sell a significantly more diverse range of products, and secondly, I realised that some of their prices are also slightly cheaper than Conveni8. I felt like a giddy little girl lost in a big candy store! Due to the fact that about 96% of all the products Maruyu sell are authentic Japanese products imported directly from Japan, and all the staff are Japanese, the store gives you a very pleasant feeling like you've transported yourself to Japan I know I certainly felt like I was in "Little Japan" while I was at Maruyu! Another upside about Maruyu I noticed is that they're quite generous, they also give free tote bags to their customers! The worker who served me showed me their range of tote bags in 6 different colours, I chose the black one and he carefully put the plastic bag containing all the goodies I bought into the tote bag for me, I thought that was nice of him. Of course Maruyu also has a few downsides of its own, although some products at Maruyu's grocery are being sold slightly cheaper than Conveni8, they are still quite pricey, so ideally you wouldn't want to spend too much money there at one time either, unless it's only once in a while. Another downside is that Maruyu only accept cash, so if you are a credit/debit card person, then it could be problematic for you. Anyway, when I walked out of the grocery I remembered about their JP￥100/$2.50 shop upstairs, so I quickly went upstairs and wasted no time in wandering around the aisles. It was big too, both Maruyu's grocery & their JP￥100/$2.50 shop occupies the entire 2 floors. I was pleasantly surprised by the diversity and vast amount of Japan-imported miscellaneous goods and knick-knacks they have and the cheap prices they were selling them for. There are cosmetics, skincare products, stationery, cooking utensils, cleaning products, socks, suitcases & other miscellaneous zakka selling at cheap prices. There were ALOT of products selling for only AU$1 - $2 each! as you can see, I am a sucker for anything & everything Kawaii! let's see, I bought a Hello Kitty pencil case & measuring tape, a kawaii nail file and a set of 2 kawaii erasers, they were all only $1 each! 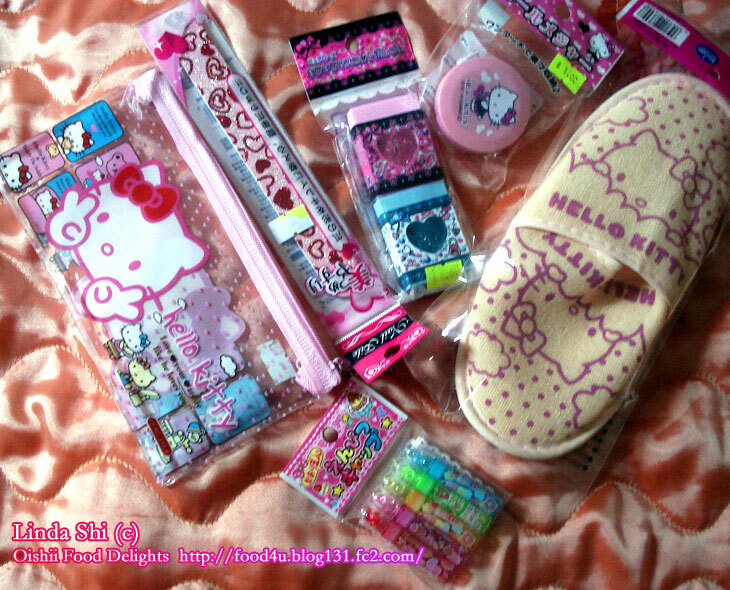 I also bought a pair of adorable Hello Kitty slippers and a set of 5 kawaii pen caps, both for only $1.50 each, so I bought all this stuff for only $7 in total, what a bargain! I didn't realise I had stayed there for an extra 30 minutes until I looked at my watch when I exited the store, it was already almost 5pm and the sky was already beginning to darken by then, I had stayed at Maruyu for about 50 minutes in total! I was glad I decided to leave at that time as it's currently winter here in Australia and the sun usually begins to set at around 4:30pm during this season, and even worse that it has been raining here for the last 2 weeks. Overall, Maruyu is great! They sell a much wider range of products than Conveni8, some of their prices are also slightly cheaper, their customer service is great & staff are friendly and their JP￥100/$2.50 shop upstairs is a real bargain haven! It's even better than Tokyomart! Tokyomart also has a little $2.50 corner, but it's much smaller & limited compared to Maruyu's. I will most certainly shop at Maruyu again and again, I think it has eclipsed Tokyomart now in becoming my new one-stop shop for virtually everything Japanese! and needless to say, I definitely recommend anyone in Sydney who is a lover of Japanese stuff to visit Maruyu and while you're there, don't forget to head upstairs to check out their JP￥100/$2.50 shop! I do plan on reviewing some of the snacks I had bought from Maruyu that day, so hopefully my next entry will be an actual food review.